I have to admit, this has been my most favorite project yet! 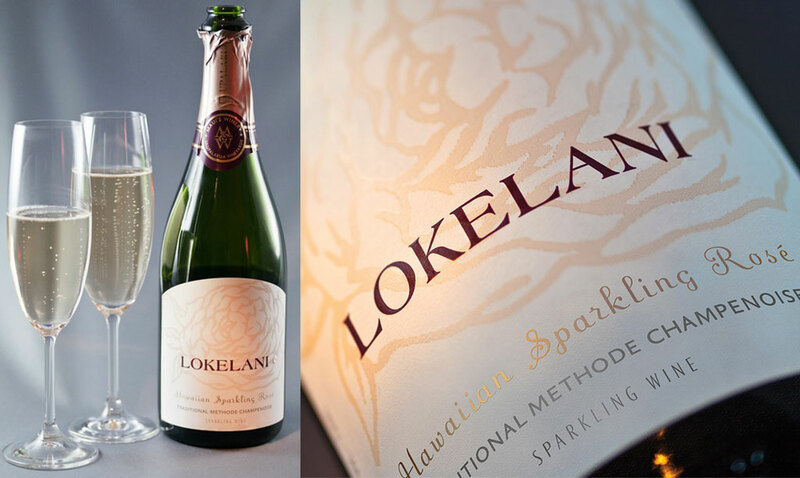 LOKELANI means Hawaiian Rose and the sparkling wine is an energetic Rosé. This sparkling wine is perfect for any celebration, often bought for special events, such as weddings, anniversaries and banquets. The label had to have a touch of softness and elegance. Once I had decided on the illustration the question was how to pair it with the right typeface and how to add a special effect. We decided on a printing technique called “diamond in the rough”, when the bottle gets wet from being in the ice bucket the paper get semitransparent the printed rose stands out. It’s really cool!